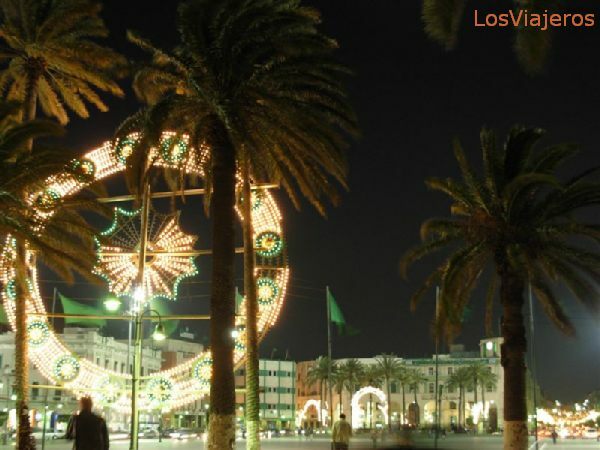 Tripoli, Green Square, The main entrance to the city from the port - Libya: Its south side are some gardens and the beginning of the port, and the west side the old city walls and the entrance to de Madinah. Its name of Green, should come for the Libyan Revolution. Trípoli, calles de la medina cubiertas por arcadas Tripoli, street of the old town covered with arched ways "Index"